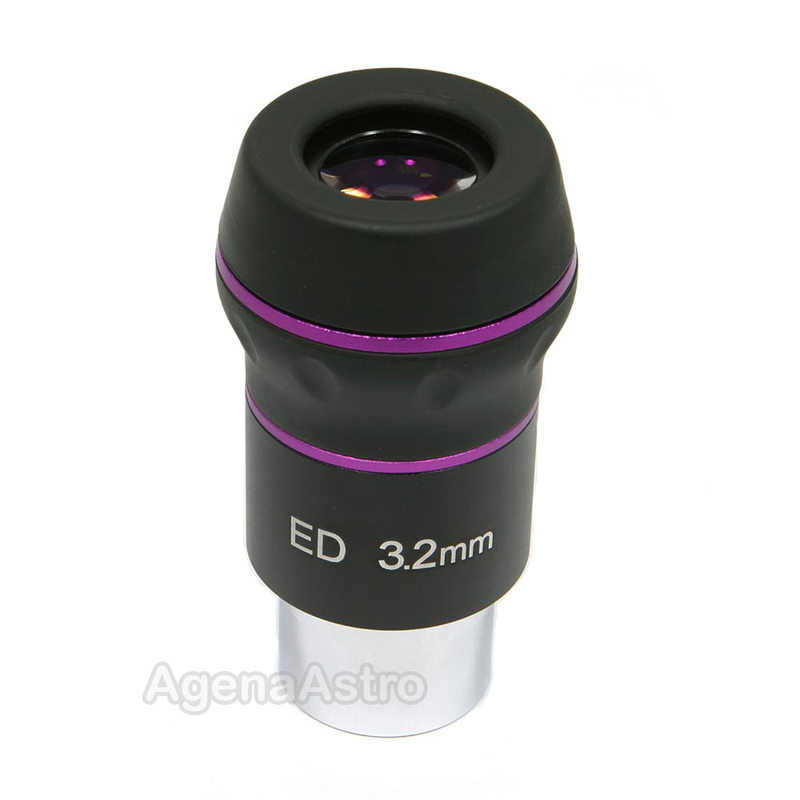 5.0 Another great eyepiece from Agena! A beautiful piece of glass! Highly recommend the entire line. I have achromats and an apo, and that's where it really shines. Used with 2 refractors, an 80 f/11 and a 102 f/6, this eyepiece performs very well with sharpness and contrast. Too much mag for the 80mm, and the 102mm needs good seeing conditions, I still use this eyepiece regardless of conditions. Chunky and solid construction, however, I believe the actual eye relief is far shorter than the designed for designation of 15.8mm. Still, and excellent value for a good eyepiece. Review by Lift Off of Mississippi. Amazing sharpness and detail viewing through 3 very different style scopes, Celestron Comet Catcher f3.6, flat star field to edge; Parks Jovian SCT f10 same; ES 102 f6.5 refractor same. This eyepiece is a high power home run!